Do your friends make fun of your terrible sense of direction? Are you tired of making wrong turns and ending up lost and late? There’s a better solution than fumbling with printed directions and maps! If you could really benefit from clear, accurate instructions at every turn, then pick up the phone today and call Autosonics for in-dash navigation that makes reaching your destination virtually effortless. That’s right! No matter what location you’re trying to find, car GPS is like having your very own co-pilot riding shotgun. When you're ready to upgrade to the convenience of an in-car navigation system, we're ready and able to help. Call or e-mail us right away to get started down the road to hassle-free driving with mobile navigation. Turn-by-turn instructionsHighlighted route mappingAudible voice promptsAutomatic re-routingPoint-of-interest mappingAnd more! With in-dash navigation, you simply follow the instructions while your GPS navigation system guides you along, even through construction detours, roadblocks, and traffic jams. If you miss a turn, your car GPS will automatically adjust for the error, getting you back on track in no time. Plus, when you need to find a nearby gas station, store, or restaurant, your in-dash navigation system will give you a list of relevant options and lead you turn-by-turn to your location of choice. At Autosonics, we stock a wide variety of car GPS equipment from some of the biggest names in the industry. We’re also knowledgeable about the choices we offer, so we can help you find the mobile navigation gear that’s most appropriate for you. 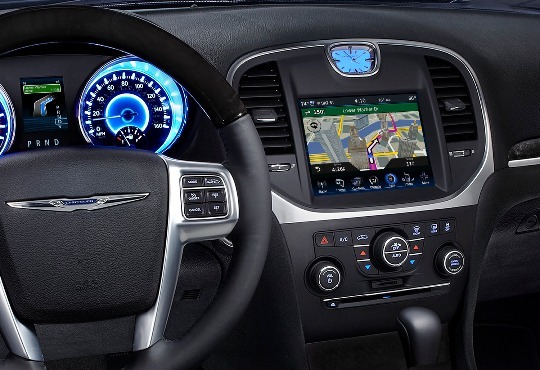 From portable car GPS to the more traditional in-dash navigation systems, we have you covered. Our in-dash navigation systems are installed for great looks as well as optimal performance, and regardless of whether your vehicle came equipped with a factory screen, we can ensure your new car GPS has that sleek OEM appearance. So stop being known for getting lost and arriving late, and start finding your way around with complete confidence. Count on an expert Autosonics installer and nearly two decades of experience in car GPS. Call or e-mail us today for all the details on car GPS or to set up a convenient appointment at our Highland Park showroom.